Mile 22, is the fourth film collaboration between director Peter Berg and two-time Academy award nominee Mark Wahlberg after Patriots Day, Deepwater Horizon and the Oscar-nominated Lone Survivor, all box-office hits. As the Ground Branch risks life and limb in Southeast Asia, with the city’s military, police, and even street gangs closing in on them to reclaim the asset, its counterpart called “Overwatch” is tasked to aid them from thousands of miles away. Overwatch has mad hacking skills, monitoring the Ground Branch agents involved in the operation and communicating with them in real time to help keep them alive, in motion and on mission, as the action unfolds and the city quickly becomes a battleground. 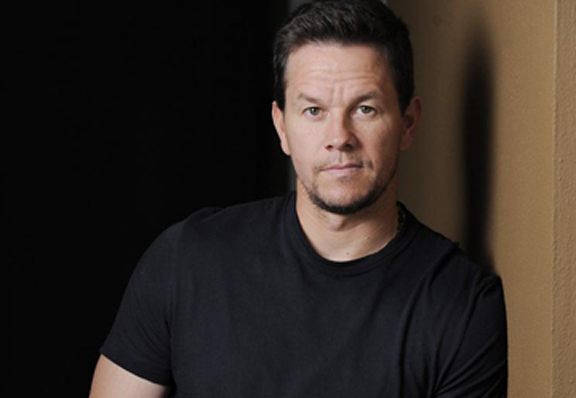 Mark Wahlberg portrays James “Jimmy” Silva, the brilliant senior officer and leader of this small but lethal group. His brain is like a shark, always moving, always working, and seemingly incapable of slowing down; he is incapable of separating himself from his work. In this film, Rousey’s character exhibits extreme loyalty to her friends. Playing the foreign intelligence asset named Li Noor is Indonesian actor and martial arts master Iko Uwais, best known for his starring roles in the acclaimed action film series The Raid: Redemption and The Raid 2. Mile 22 marks Uwais’ American film debut. According to Peter Berg, “Iko is a big reason for me wanting to do this movie; he’s probably what started it.” The director reveals that he was mesmerized by Iko after watching The Raid. Iko has been referred to as “the next Bruce Lee”, and Berg began formulating plans for an action film to bring Uwais to a worldwide audience. That film became Mile 22. Although Mile 22 is a work of fiction, it’s standard practice for Berg to engage a group of consultants with real world experience-—from Navy SEALs and Army Rangers, to CIA officers and computer experts—to assist the cast and crew. This intense and explosive film screens in cinemas now. The film is released by VIVAInternational Pictures & MVP Entertainment. Bugoy Drilon, one of the Philippines top OPM acts, marked his 10th year in the music industry with a star-studded concert titled One Day, One Decade held at Kia Theatre on Sept. 25. Drilon, who rose to fame from being a top contender in the second season of Pinoy Dream Academy and his performance of Matisyahu’s “One Day”, shared the story of his life through a collection of diverse, lively, and emotional songs during the three-hour show. A talented cast of Filipino artists joined Drilon on this major project: Yeng Constantino, KZ Tandingan, Erik Santos, Klarisse de Guzman, and Pinoy Dream Academy alumni Cris Pastor, Hansen Nichols, Miguel Mendoza and Liezel Garcia all wowed the crowd with their vocal skills. BuDaKhel—a trio composed of Bugoy and two of the country’s pop and R&B main men, Daryl Ong and Michael Pangilinan—made hearts melt, while newcomers Carmela Ariola, Kimberly Baluzo, Ace Bartolome, Louie Ann Culala, and Princess Sevillena showed that they have what it takes to impress a crowd. To celebrate World Teachers’ Day, the Movie and Television Review and Classification Board (MTRCB) together with the Department of Education, the Local School Board and with support from the Local Government of Parañaque, held a film showing dedicated to the esteemed educators of the city of Parañaque on Oct. 12 at SM Sucat. Leading the opening ceremony at SM Sucat Cinema 4 was MTRCB Chairman Rachel Arenas, together with 1st District Congressman, Eric Olivarez, and Parañaque City Mayor, Edwin Olivarez. MTRCB Board Members were also present to conduct “Matalino at Responsableng Panonood” seminars in the other cinemas before the film showing. The ongoing partnership of the MTRCB and the Government of Paranaque has led to this second annual film showing for the hard-working teachers of Parañaque. The film shown for this year was Mga Munting Tinig, an award-winning film directed by the late Gil Portes and starred Alessandra de Rossi. The film itself is dedicated to teachers, and it portrays the genuine commitment of these everyday heroes to improve the well-being of their pupils.